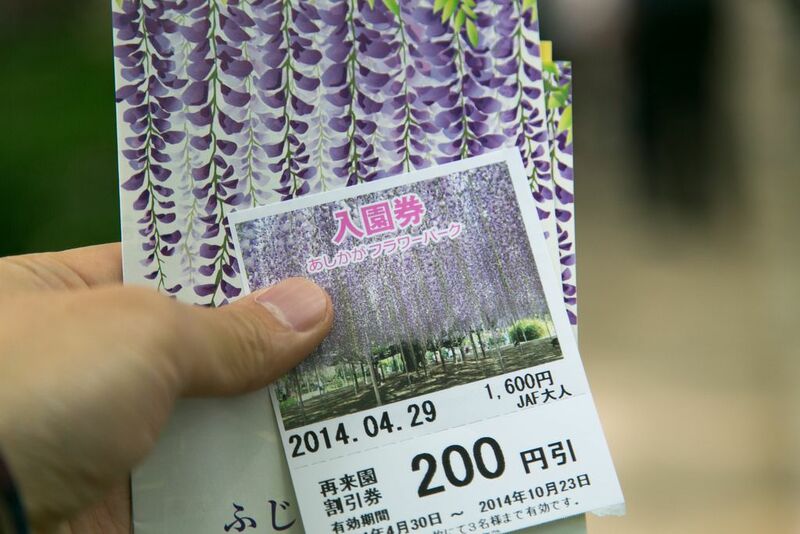 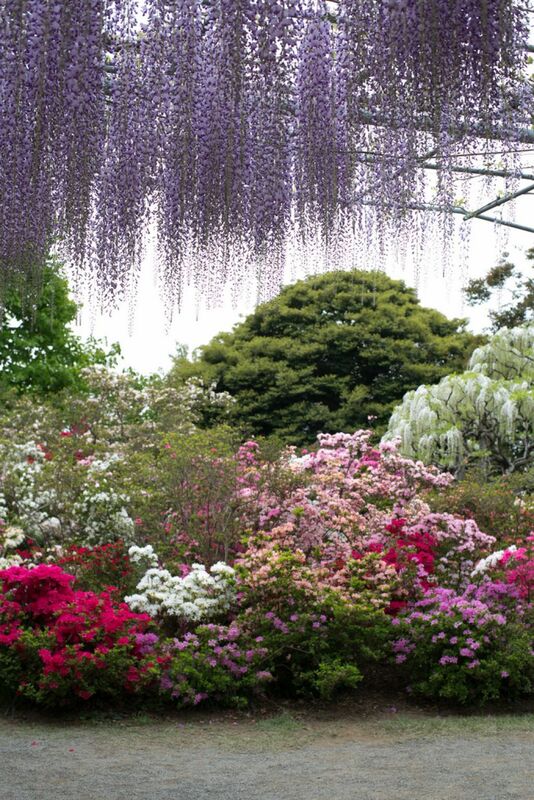 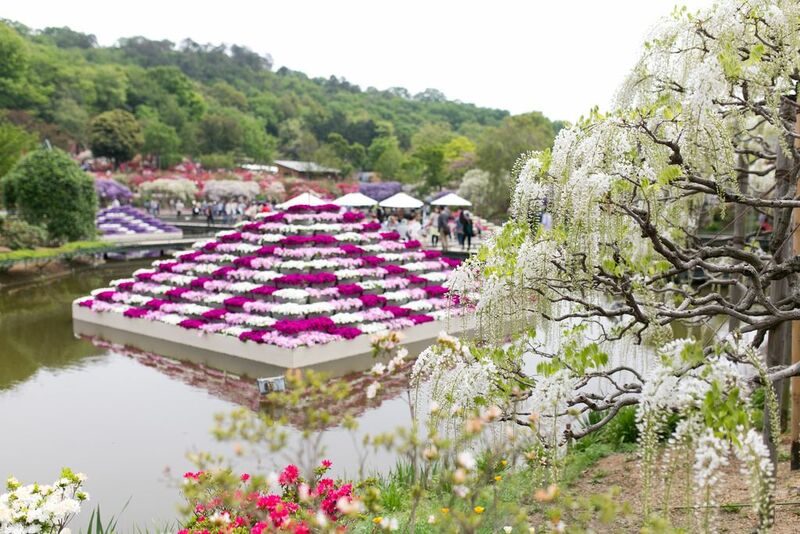 One of the best places to view fuji flowers in Japan is the Ashikaga Flower Park. 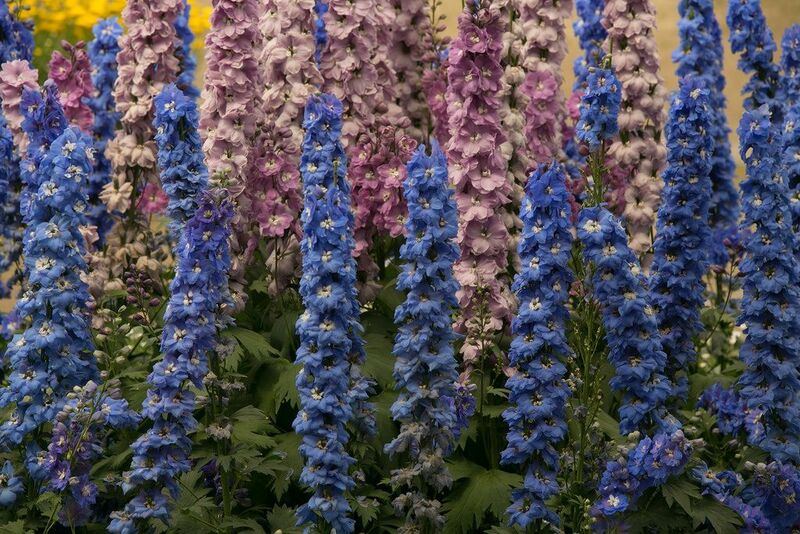 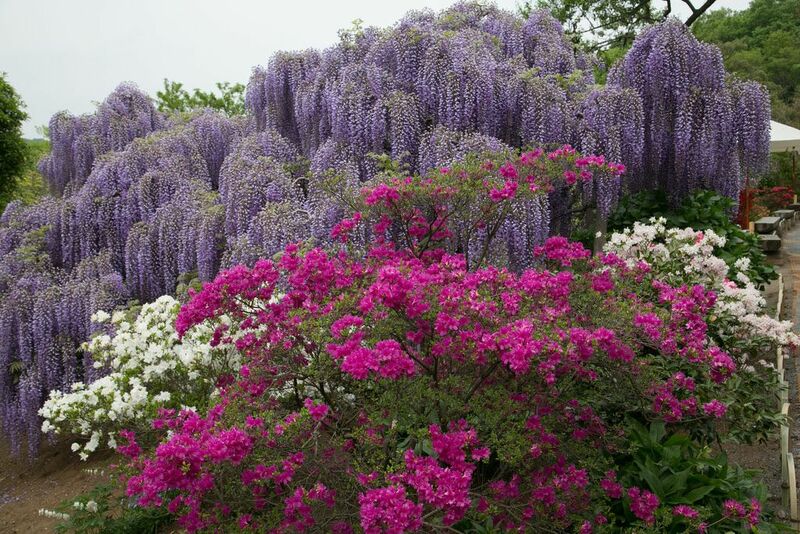 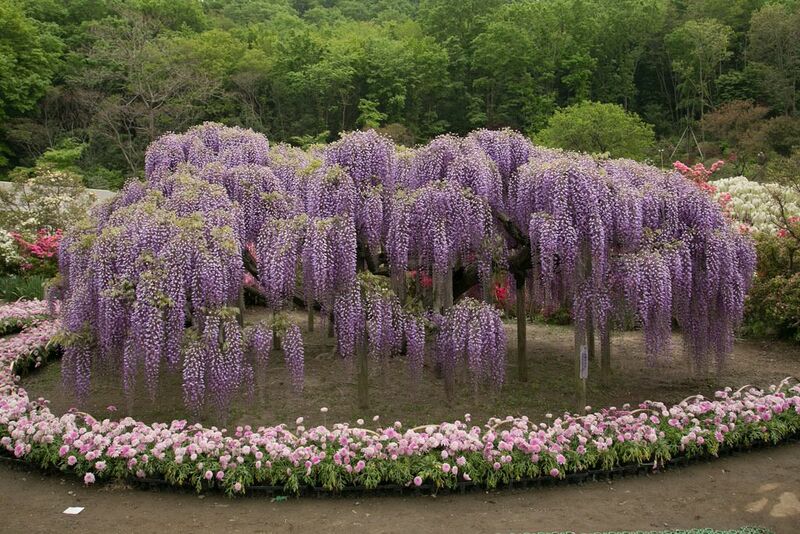 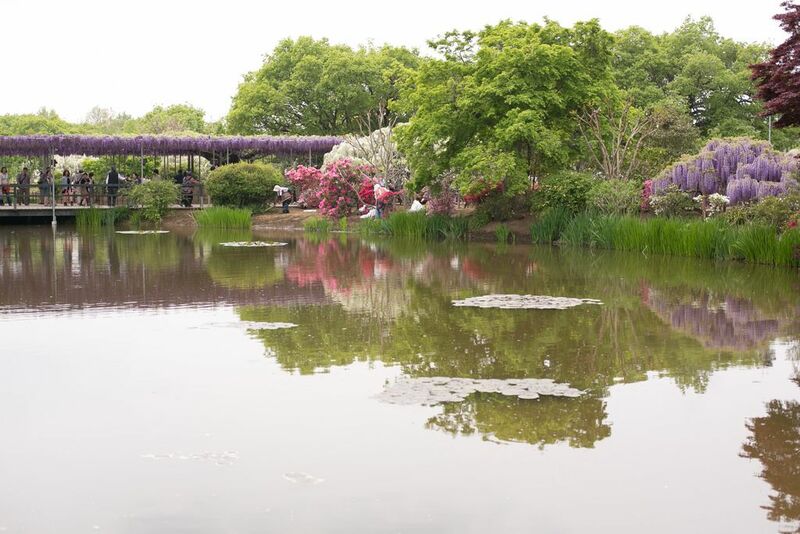 Japanese Ashikaga Flower Par is located in the city of Ashikaga Tochigi in the province of on o. Honsyu. 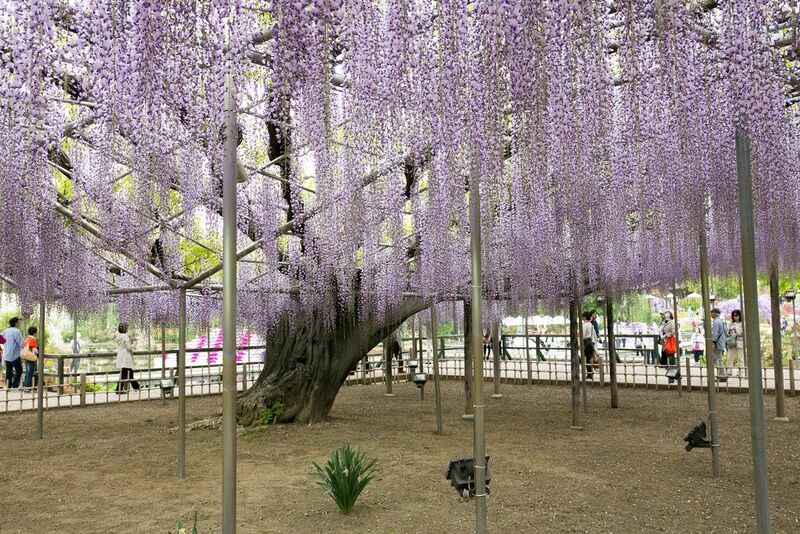 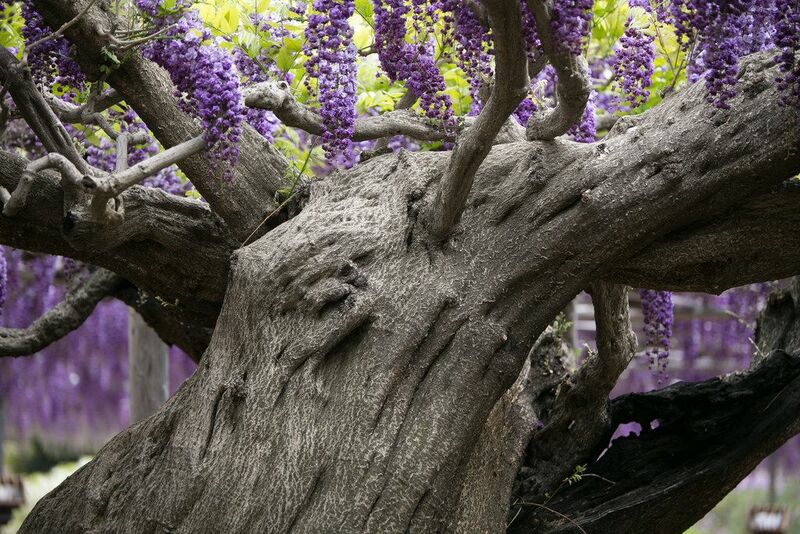 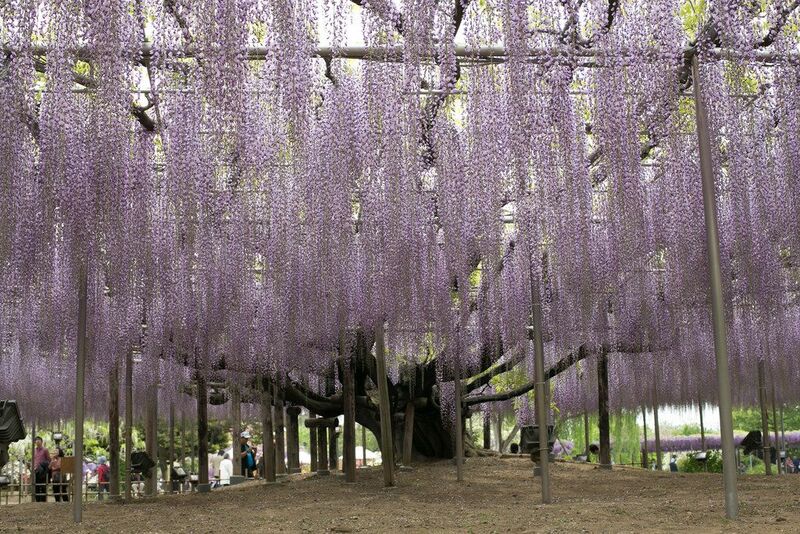 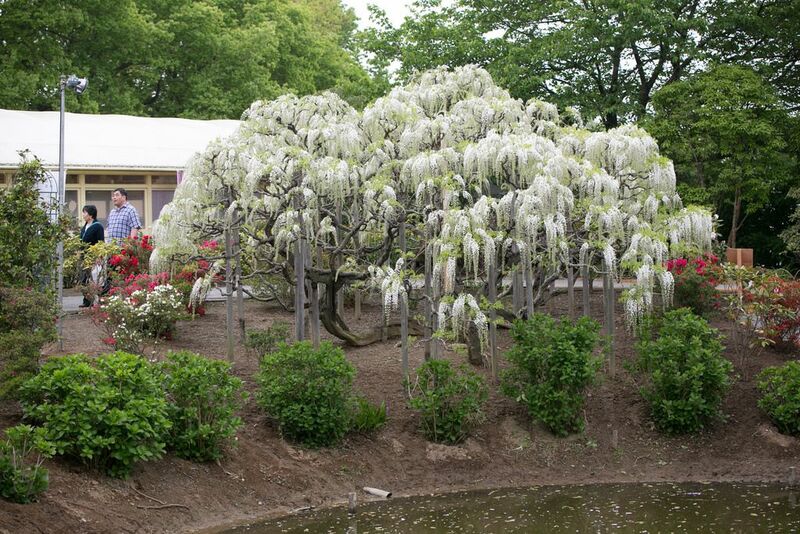 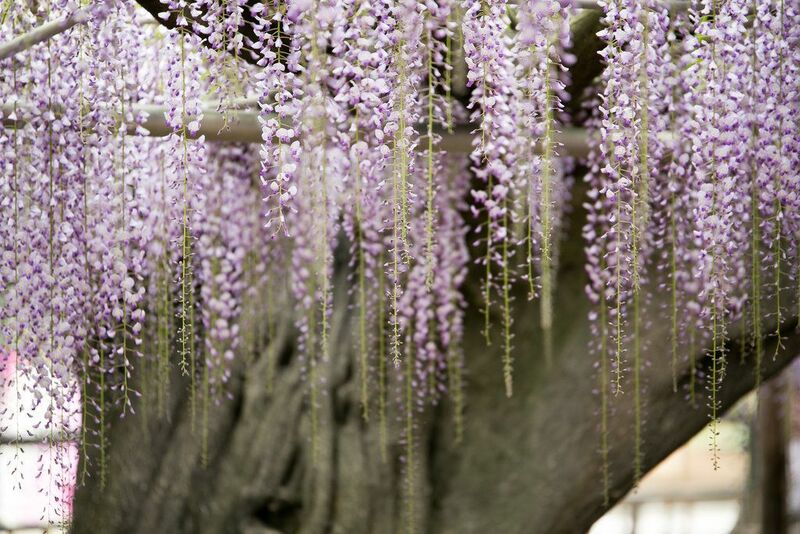 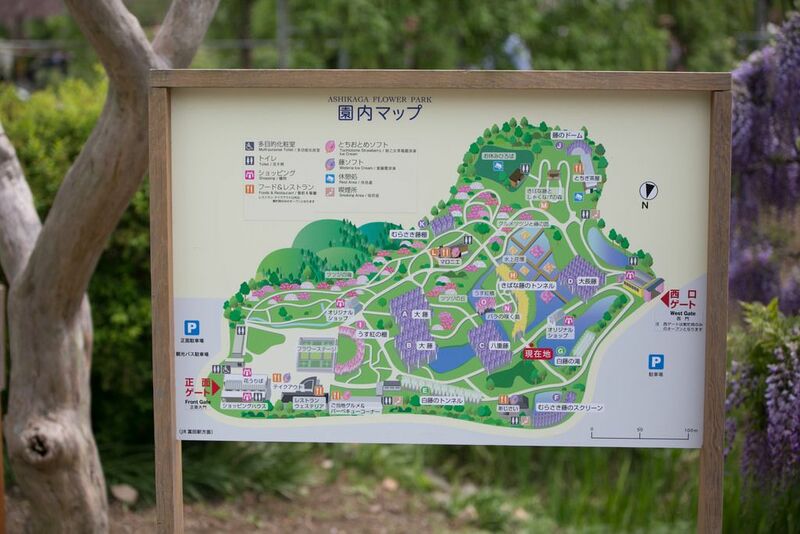 Park covers about 8.2 hectares and is famous for various kinds of wisteria. 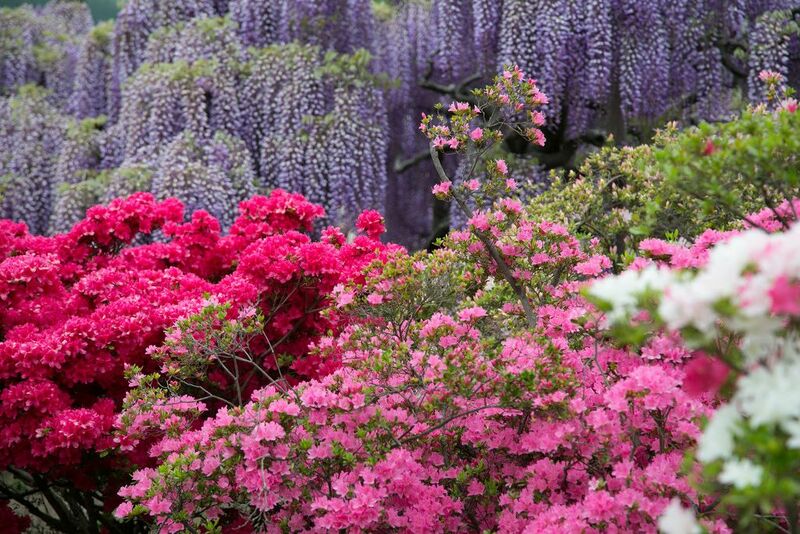 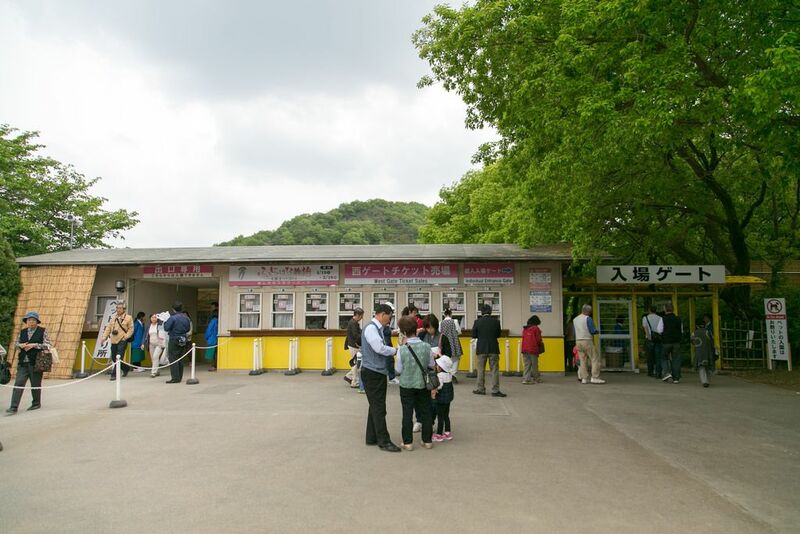 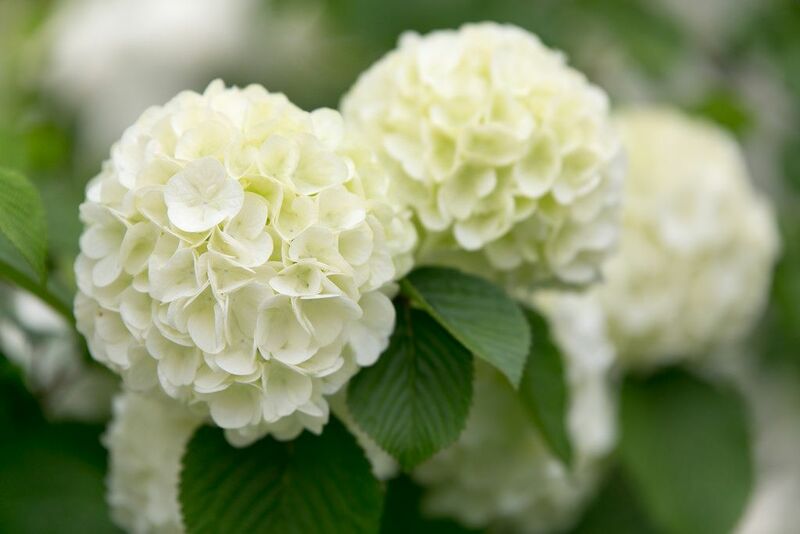 The scenery changes with the seasons and these gradual transformatins are noticeable in the changing colors of the blooming flowers and blossoming trees. 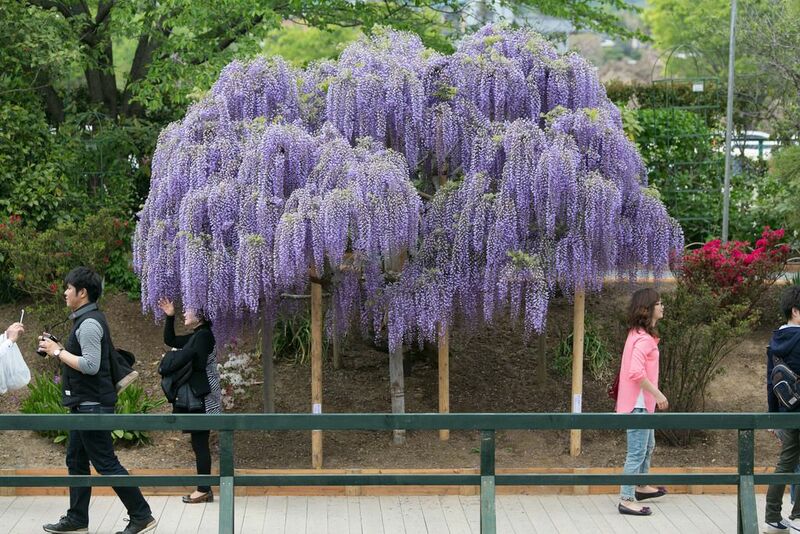 People who came here in the daytime are still enjoying flowers even at night in a tunnel of white wisteria, under the 1000 square meter purple wisteria trellis.